Belarus insists on Russia's no longer equating beer to alcohol. These conditions were laid down by Belarus during the negotiation of a draft technical regulation "On the security of alcoholic beverages," planned within the Customs Union. 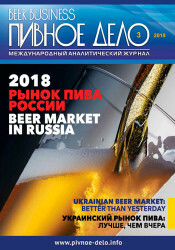 Representatives of the Belarusian brewing industry claim that considering beer an alcoholic drink will excessively tighten regulation of the industry. The Belarusian side insists on changing the current draft regulation, as its adoption will cause significant financial costs for Belarusian breweries, RBC. 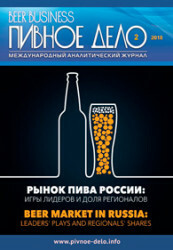 "At the moment about 80% of the beer market in Belarus is represented by PET bottle- production. If beer is equated to alcohol, Belarusian manufacturers will have to restructure its manufacturing facilities for producing special glass bottles. This will require huge investing," said Chief of the brewing industry of Belgospischeprom State Concern Eugeni Mariushich. According to Belgospischeprom, re-equipment of Belarusian breweries will require at least $450 million. This in turn will increase the payback periods and lower output, as well as will cause the closure of some plants. In turn, executive director of the Belarusian Guild of Brewers Vladislav Skrebtsov notes that the adoption of technical regulations in the current edition, part of the Belarusian producers may leave the market. 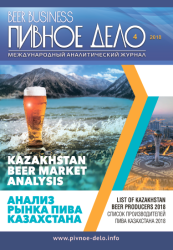 "We have very strict laws governing the circulation of alcoholic beverages: alcohol is not permitted for everyone, while beer in Belarus is seen as a nonalcoholic product," said Vladislav Skrebtsov. 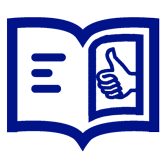 In Russia, beer was equated to alcohol in July 2011. The Russian side does not support the idea of Minsk. If the brewing industry in the Customs Union is regulated by specific technical regulations, Russia will have to review all amendments to the law "On state regulation of alcohol market." Meanwhile, another member of the Customs Union – Kazakhstan - is against the trade of beer in plastic packaging.